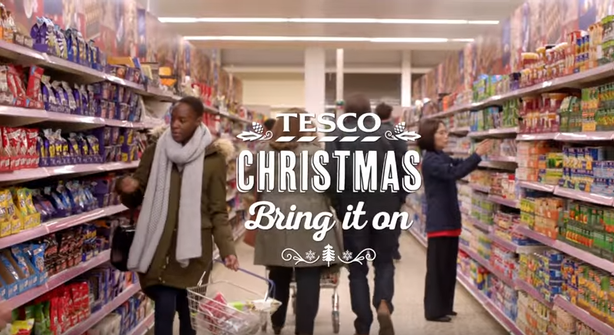 Tesco and Morissons were the first major supermarkets to launch their 2016 Christmas campaigns, both debuting their adverts on Sunday. 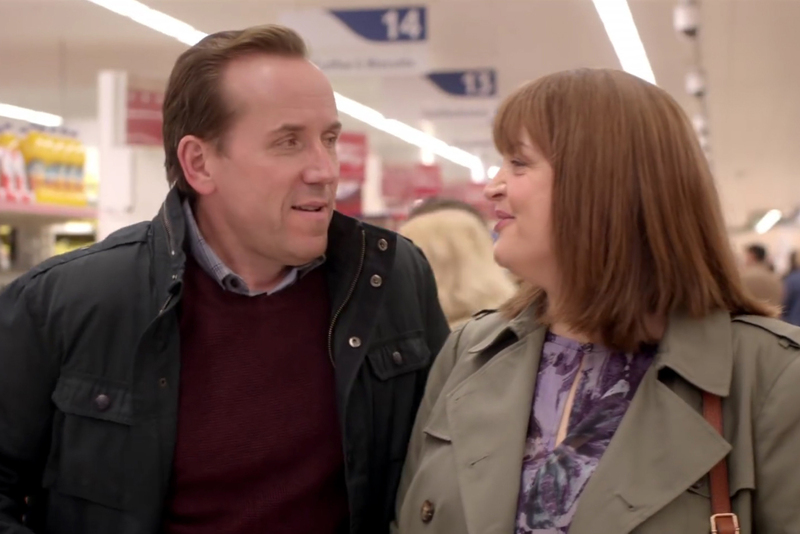 Tesco aired its one-minute film, which once again casts Ruth Jones of Gavin and Stacey as the mother and Ben Miller, of the Armstrong & Miller Show, as the father, during the interval of X Factor Results show on ITV on Sunday. The film shows Jones wandering around the aisles of Tesco initially frustrated at the store playing Christmas music when her clothes still smell of bonfire night. Then Jones starts to mentally plan Christmas Day in her head and has come round to the idea by the time Miller rejoins her clutching a box of mince pieces and asking if it’s "too early?" "Bring it on," Jones replies. Tesco is planning a series of films that deal with key moments over the Christmas period, from planning the occasion through to dealing with festive guests who overstay their welcome. It will use PR to bring these stories together under the theme of helping its customers host the best possible Christmas. The supermarket would not be drawn on how many films it would put out during the festive period. At the time of publication, the first Tesco film had received 2,200 views on YouTube, while a shorter version on Twitter had been retweeted 84 times and received 170 likes. Michelle McEttrick, Tesco group brand director, said: "As our customers start to make their plans, we want them to know we're ready to help, no matter what Christmas throws at them. We’ve identified those festive moments our customers experience in the run up to Christmas and used them to create our TV adverts for this year. So however our customers choose to shop with Tesco this festive season, the message is loud and clear: Christmas – bring it on!" Morrisons 40-second film depicts a family making preparations for Christmas, featuring a boy revising on everything from how many reindeer pull Santa’s sleigh to how many gifts there are in the song ’12 Days of Christmas’, in preparation for an epic battle of Trivial Pursuit with his grandfather. The voice-over showcases Morrisons Christmas items as store staff help the boy revise the answers to questions. The supermarket launched the film on Facebook yesterday morning and it had received 2,700 likes and nearly 700 shares at the time of publication. As well as the film, Morrisons launched its social media campaign with #MorrisonsMakesIt on Twitter. 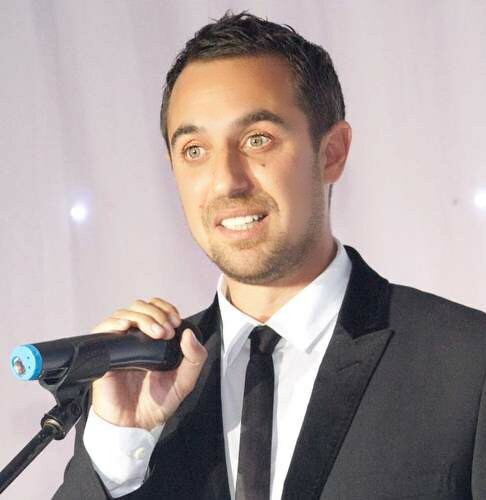 Commenting on the Morrison’s campaign, Andrew Bloch (pictured above), founder and group managing director of Frank PR and a member of PRWeek's Christmas campaign panel, said: "They have launched a Christmas campaign that isn’t just a one-off like the ads typically seen by the likes of John Lewis and Sainsbury’s, in order to reinforce their year-round communications message. Instead, they have used the Christmas ads to continue the Morrisons Makes It story as a way of reinforcing their point of difference as a foodmaker and shopkeeper." According to Brandwatch, the Morrisons ad has received 473 mentions on Twitter so far, while Tesco’s campaign was close behind on 404 mentions. However, Tesco achieved a larger launch peak of 102 Twitter mentions on Sunday evening, with Morrisons peaking at 57 mentions at 10am this morning.